Let's see what our designers did with Hustle! 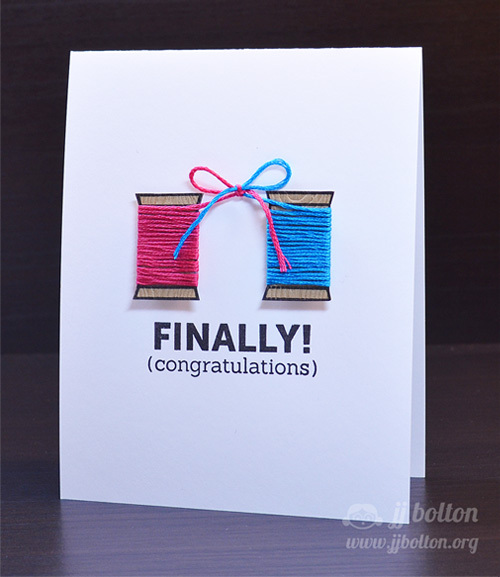 JJ paired the sentiment from Hustle with the spool stamps from stitches to create a wedding card. 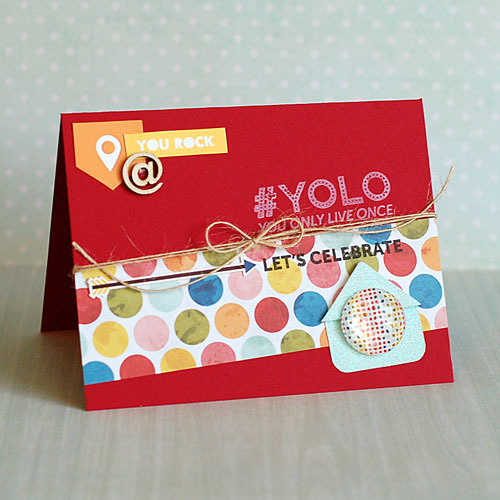 Lea chose a bright, rainbow color theme to pair with the fabulous #YOLO sentiment from the "Hustle" stamp set. She made it a birthday card by adding the Let's Celebrate from the "Say What" stamp set! 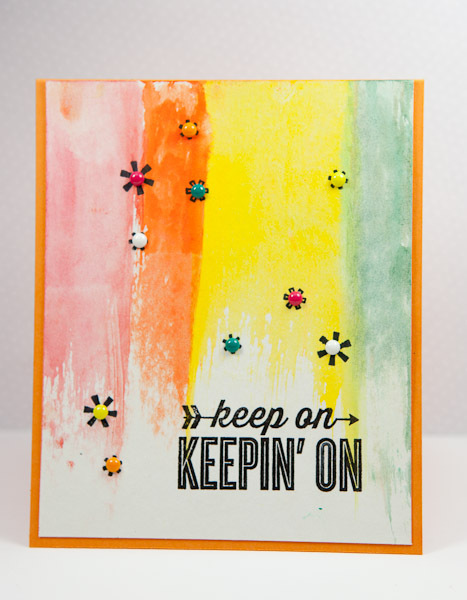 Cheiron used this bold sentiment on a bright painted backgrounds. She used the asterisks in the set along with enamel dots to create tiny happy "flowers". 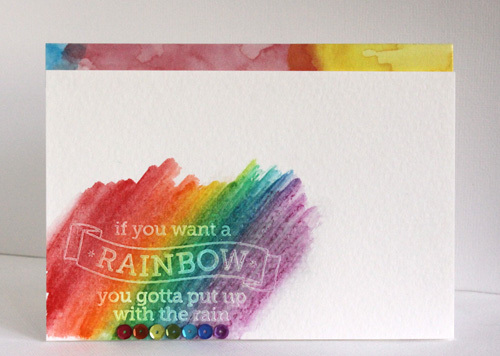 Alice created the rainbow background to echo the wonderful sentiment for this card. 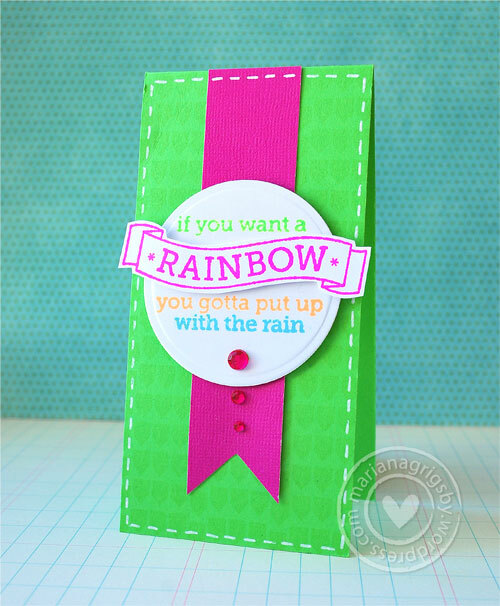 Mariana made a bright card using one of the sentiments included in this set. She used four different colors of neon inks to achieve a colorful look. She also used one of the images included in Full House to create a subtle background. 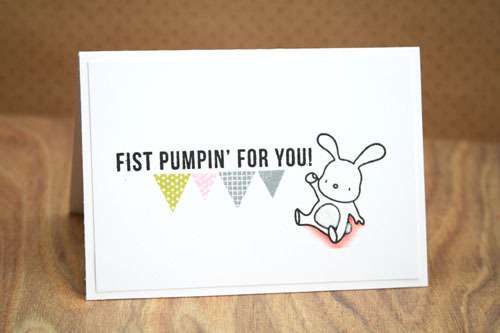 Pearl made a cute and simple celebration card using the sentiment "fist pumpin' for you!" pairing it with the cute bunny image with a flocked belly and tail from "Up and Away" and triangle pennants from a favorite, "Trifecta". 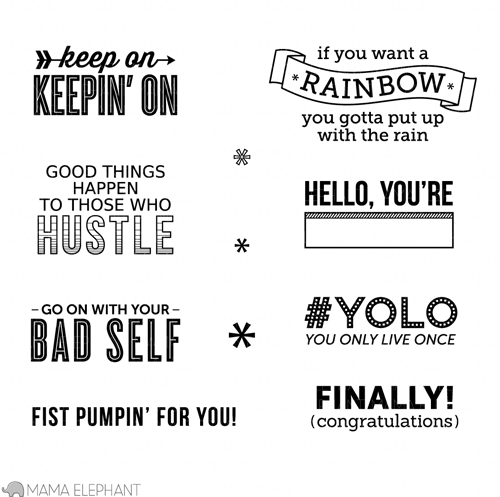 Savannah created a very clean and simple card using just one sentiment from this new Mama Elephant stamp set. 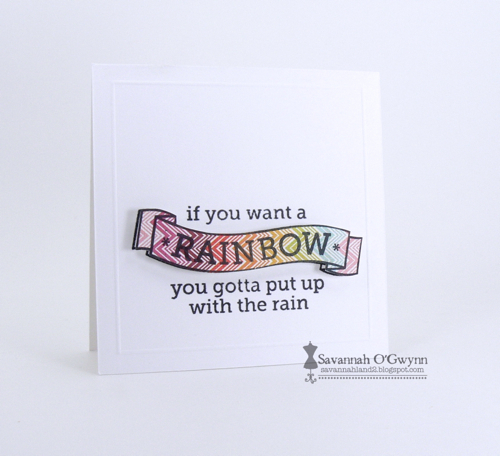 She highlighted the banner with a colorful patterned paper to match the sentiment! ahhhh the bunny fist pumpin!!!! ahhhh!!! Another reason I need this set! Fabulous set! And Savannah's fist pumping bunny is gosh-darn cute!! Delightful showcases, all! They are all fabulous creations, but that fist pumpin' bunny seriously rocks! Love it! beautiful cards with awesome stamps. Loved that first card so much,great idea. These sentiments are too fun! Perfect cards everyone!! Oh my goodness, the bunny! Such an amazingly talented team.